We met in Loudwater Studio in Ludlow to work on various kinds of art reflecting the project ‘Loudwater Studio in the Shropshire Hills’. All these different pieces will form part of a three-dimensional sketchbook recording the visits of Loudwater Studio clients to five different and special places in the Shropshire Hills. 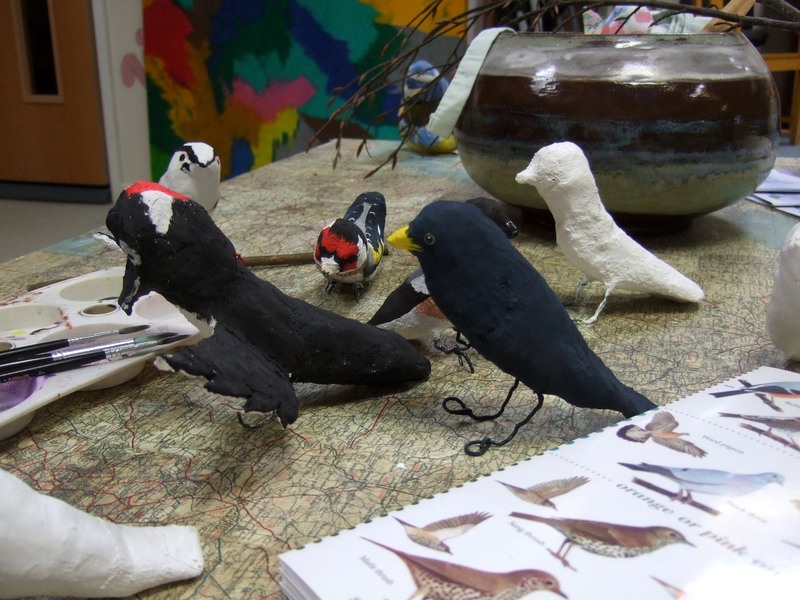 These beautiful bird s are made from paper and Modrock plaster of Paris, with wire for feet. One of the Vision Homes residents was painting them with her carer, while Julia worked on a huge Red Kite. Here he is, having his wings fitted. And below is a shrew tha t Julia found, very dead, and which she most resourcefully pressed into a clay block to create this, erm, shrew death mask. 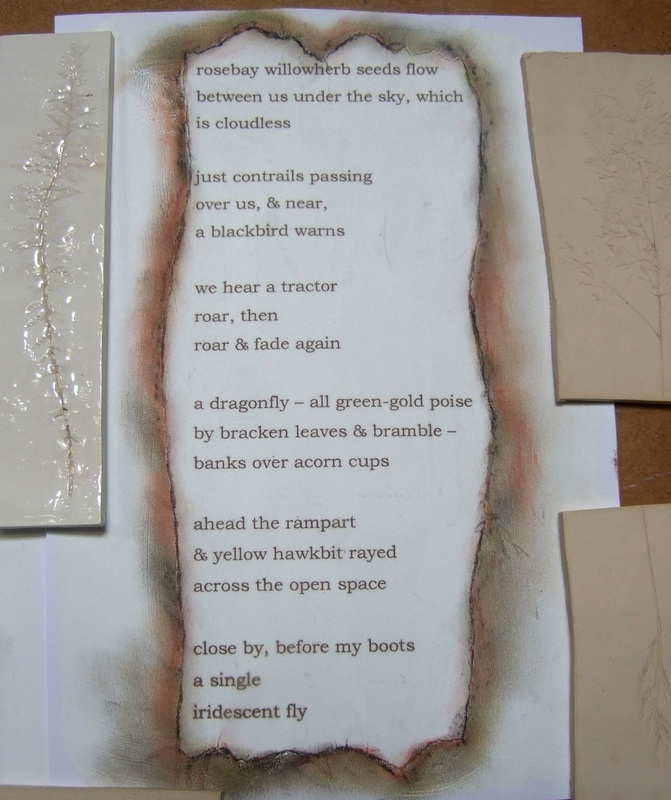 I worked on sorting out the words I’d gathered and tinkered with while we were up at Bury Ditches. Here’s part of the poem. I made it into what will become a path winding through the bottom of the Bury Ditches ‘page’ of the three dimensional sketchbook.